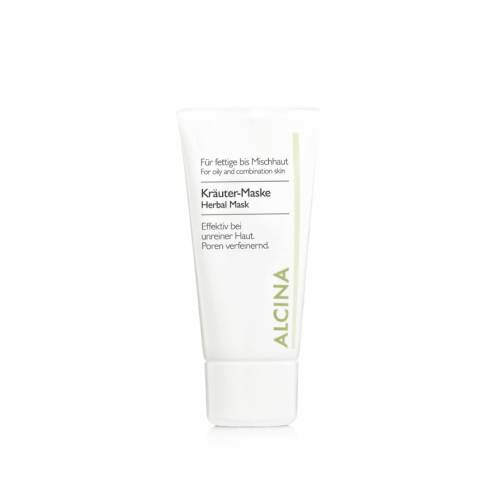 The Alcina Herbal Mask helps to clear impure skin. The combination of the active ingredients kaolin, sage and lavender oil ensures that excess sebum is absorbed and that the facial pores are visibly reduced. 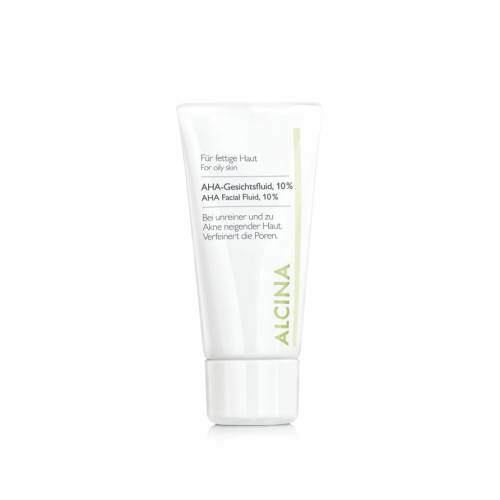 The AHA Facial Fluid – "deep-down polish" – from Alcina is a unique fluid with 10% fruit acids and is the most intensive cosmetic form of peeling. It reduces the pores, promotes skin renewal and improves the skin's elasticity. For a fresh, radiant and refined complexion. 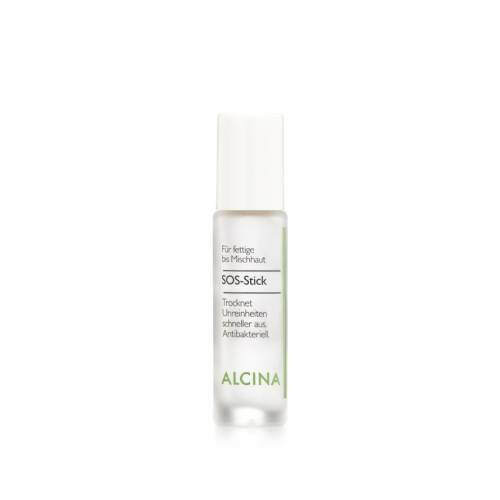 The AHA Fluid from Alcina nourishes and smoothes stressed skin and is particularly ideal for mature skin subject to natural or light-induced skin aging. The Facial Fluid from Alcina also achieves impressive AHA results on impure skin, skin which is prone to acne and large pores. Applied once a day (ideally in the evening) over a period of 8 to 12 weeks, stressed skin is gradually freed of dead skin cells and nourished. The pores are significantly reduced and the skin looks softer and smoother and is also ideally prepared for the subsequent skin-care routine. A wonderful result which you can see and feel. The Alcina Day & Night Facial Fluid with allantoin, liquorice and bisabolol balances out excess sebum production on the face and stabilises moisture levels. 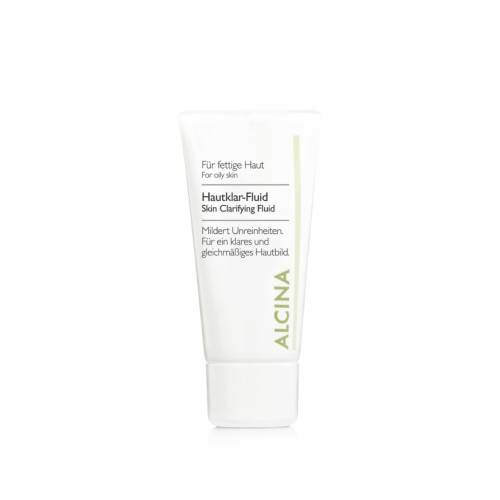 If used regularly the Alcina Day & Night Facial Fluid ensures a matt and balanced complexion. 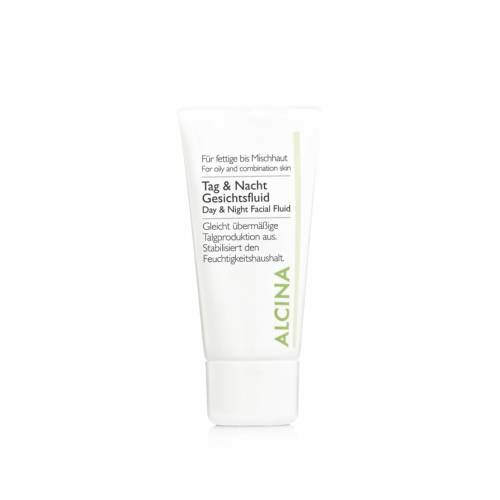 The moisturising Alcina Skin Clarifying Fluid with buckhorn, barberry and zinc active ingredients is a light and antimicrobial moisturising care product. It reduces skin impurities and helps to keep the skin clear. Regular use of this product against impure skin leaves the complexion looking clearer, more even and more radiant in the long term. The disinfecting Alcina SOS Stick promises to quickly combat blackheads and impure skin. With the antibacterial properties of salicylic acid and 40% alcohol, the SOS anti-spot stick dries out skin impurities more quickly, soothes the skin and has an antibacterial effect. With its small applicator it can be used specially to treat spots and blackheads. The Alcina SOS Stick is wonderfully compact and fits in any bag. This makes it great for use on-the-go.